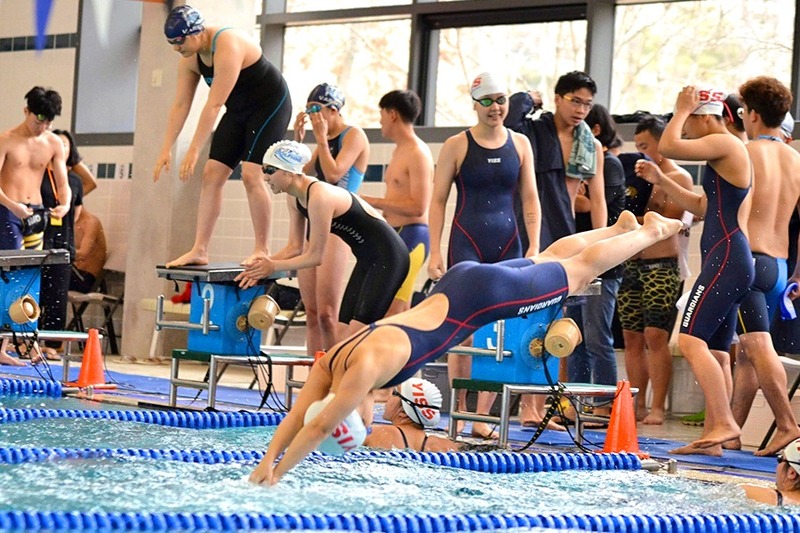 During the first weekend of April, YISS swimmers traveled to Chadwick for the Songdo Spring Invitational. They competed against 400 other swimmers representing schools from Shanghai, Beijing, and other schools from around Korea. Throughout the three-day competition, there were some great swims from students across all age groups. 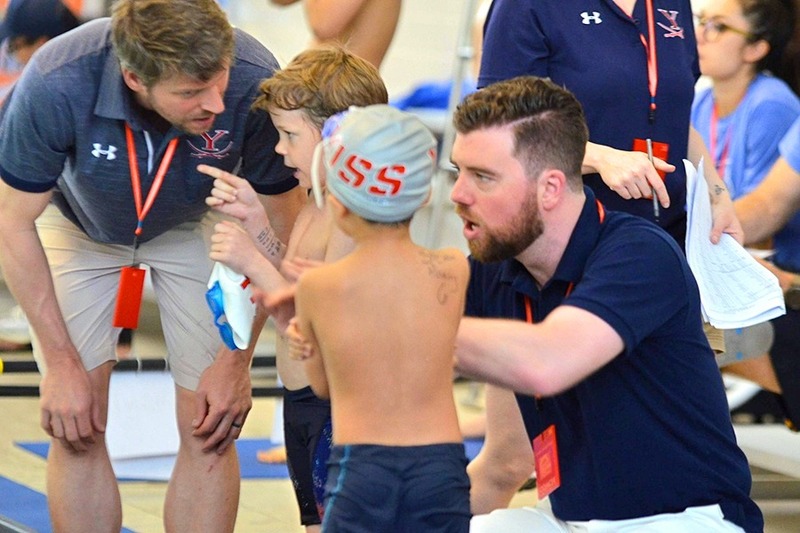 Placing in the top six in an event was a noteworthy accomplishment, and the YISS swim coaches were thrilled not only with how well YISS swimmers competed but also with how they represented themselves, their team, and their country. Though many of them were tired by the last day, they fought hard and swam well. The next all-ages swim competition will be held here at YISS on May 18. All swimmers are encouraged to register for the last swim competition of the year. Stay tuned to Schoology for the details and registration information which will be posted in the coming weeks. 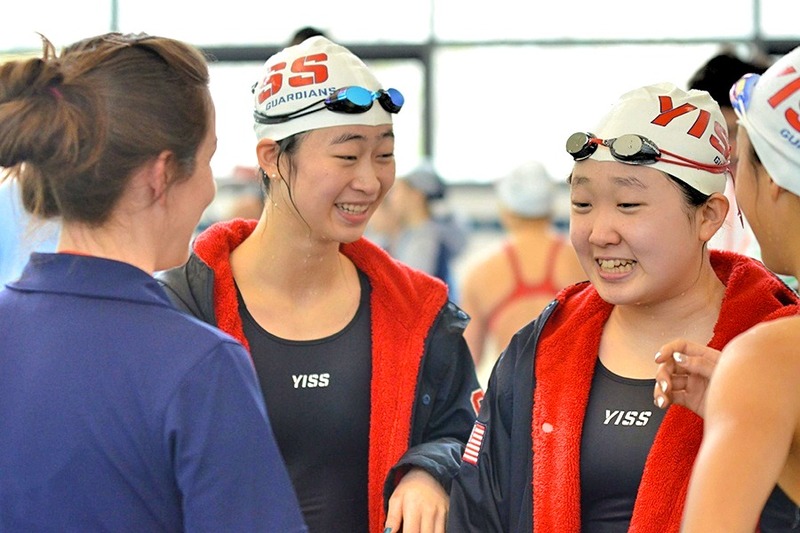 Senior Jiyu S. became the first female swimmer in YISS history to break 28 seconds in the 50-meter freestyle. She won the event breaking both the meet record and her own school record in the process! Freshman Katie H. had an incredible swim in the 400-meter freestyle and set a new varsity record. Freshman Eric O. set new school records in the 50-meter butterfly, the 100-meter freestyle, and the 400-meter individual medley. 8th grader Bryan S.J. K. placed first overall in the 13-14 age group in the 100-meter freestyle and fourth overall in the 50-meter freestyle. 8th grader Gina K. placed third, sixth, and sixth in the 13-14 age group in the 50-meter butterfly, backstroke, and freestyle races, respectively. 8th grader Joyce K. placed first, second, and second in the 13-14 age group in the 400-meter freestyle, 200-meter freestyle, and 50-meter breaststroke, respectively. 7th grader Kaylin B. placed third and fourth in the 11-12 age group in the 50-meter freestyle and backstroke, respectively. 7th grader Jaimie H. placed third and fourth in the 11-12 age group in the 50-meter butterfly and freestyle, respectively. 7th graders Abby K. and Soul J. placed third and fourth in the 11-12 age group in the 50-meter breaststroke. 7th grader Daniel P. placed first overall in the 11-12 age group in the 50 and 100-meter freestyle races. 7th grader Soomin Y. placed 2nd overall, just behind Jiyu S. (12), in the 50-meter freestyle, breaking the meet record for the 13-14 age group. Soomin also placed first overall in 13-14 age group in the 100-meter freestyle and 200-meter freestyle. 5th grader Serene H. placed fifth overall in the 11-12 age group in the 50-meter breaststroke. 5th grader Chase K. placed first overall in the 11-12 age group in the 50-meter breaststroke. 4th grader Ian M. placed first overall in the 9-10 age group in the 100-meter butterfly and second in the 50-meter freestyle. 3rd grader Olivia C. placed fourth overall in the 9-10 age group in the 50-meter backstroke. YISS Alumni Spotlight–College Athletes: Kyla S.